WoodCraft Custom Built Homes is a total service construction company. We have a full time design staff that can help answer all of your design questions. WoodCraft Design Services can help you with the design of your home and the selection of the product going into your new home. We can take your ideas and through the use of computers, turn them into a well designed home. Woodcraft Handyman and Remodeling Service is a complete remodeling company. Our experienced team can do anything from replacing a window, renovating a kitchen or bath, to building large remodeling/ addition projects. WoodCraft Custom Built Homes is the building division of WoodCraft Team. From our plans or yours, the WoodCraft Team can build you that dream home, addition or renovation you have been looking for while maintaining your budget. Interior design and custom cabinetry are just a few of the quality services that WoodCraft Custom Built Homes can offer you. Working with you to develop that "just right" feeling you are searching for in your new home. 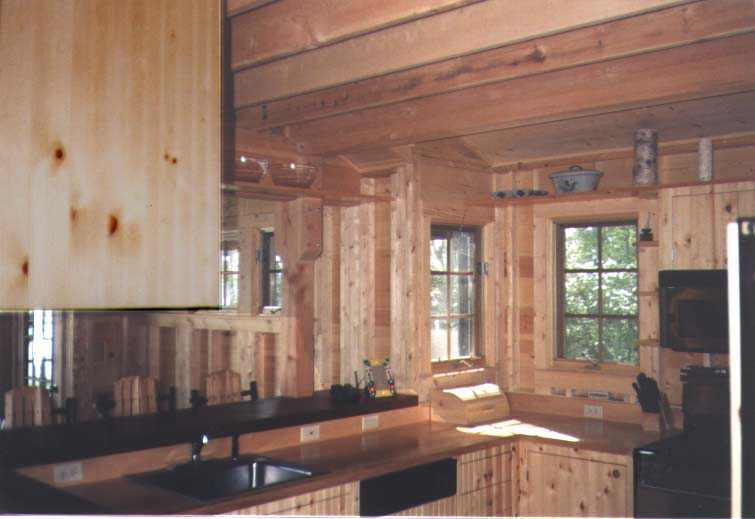 From log homes to contemporary homes, the WoodCraft Team can build / design your dream. We provide help with finding the financing that you require in a no hassle environment. Our team of lenders, suppliers and subcontractors work very well together.